So I hope that you all had a fabulous Christmas and got all you wanted! Usually every Christmas I ask for something specific, but this year I just went with the flow! 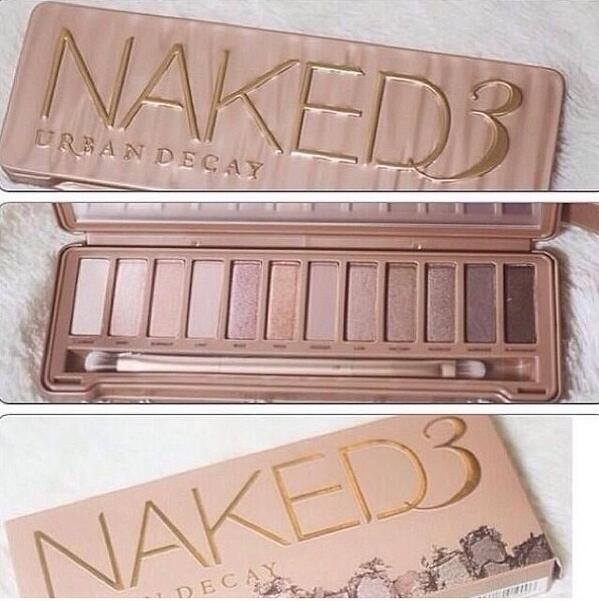 I was really happy to see that I got the new Naked 3!! I was soo excited and I really cannot wait until I really know how to use it! The colors are so amazing and this came with little primer samples inside and there were different types like for anti-aging or just to prevent the eyeshadow from smearing. But yeah, just wanted to say that I hope you all had a good holiday! Oh, and maybe tomorrow I will be posting some pictures of the new line that arrived at work (Charming Charlie) It is amazing! It is called "OverBoard" and its all anchors and nautical-inspired things, its the cutest things. So yeah, I will see you all tomorrow! P.S- My sisters absolutely LOVED their christmas presents. You're a lucky girl, the Naked Palettes look like they're fab! Also, that's so cool that you work at Charming Charlie's I love that store! Can't wait to read your post about the line.